It’s always nice to be rewarded for hard graft in audio, especially when it’s a BAFTA nomination for Best Sound. Adam Savage spoke to Lee Walpole and Stuart Hilliker about their work on The Imitation Game. 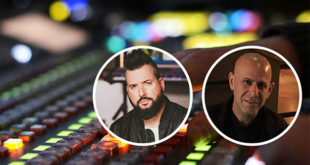 This time of year is probably best known for its trade shows and big product launches, but for one area of the pro-audio industry it’s a period to look forward to for another reason. 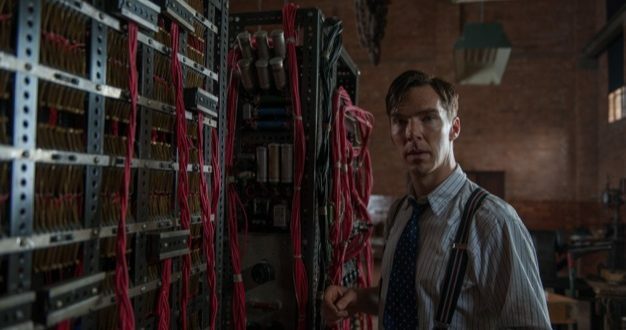 For the world’s top film audio crews, February is awards season, and nominated for a prestigious BAFTA this year is the widely acclaimed period drama The Imitation Game – also a finalist in a whopping eight other categories. The film stars Benedict Cumberbatch as mathematics genius and computer pioneer Alan Turing – the man responsible for cracking the thought-to-be-unbreakable codes of Nazi Germany’s Enigma machine during World War II, and therefore significantly shortening the length of the conflict, according to numerous historians. Cumberbatch’s portrayal of Turing, Morten Tyldum’s direction and Billy Goldenberg’s editing explain most of the film’s multiple nominations, but its sound quality can be largely attributed to the work of Soho, London-based Boom Post. Crucial to the success of this project were supervising sound editor Lee Walpole and re-recording mixer Stuart Hilliker. 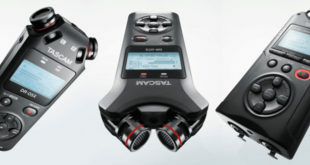 At first it might not seem like your usual candidate for a Best Sound gong, until you discover how much effort went into creating the aural characteristics of the film’s main prop. “A key thing that Morten wanted to get right from the very beginning was the sound of Christopher, the [code-breaking] machine that Turing built. He was keen to find a sound and language for Christopher and he wanted it to become a character in its own right,” explains Walpole. Not the easiest of briefs to meet, then, although the crew did gain access to the only existing replica of the original machine – real name Bombe – giving them the ideal starting point on which to build. The replica at Bletchley Park – Turing’s base during the war – was built from the old plans, enabling them to hear what the great man’s actual machine would have sounded like. “The one they shot with on the film was just built for the aesthetics and had electronic motors, whereas the machine at Bletchley looks very similar to the one in the film, but makes the authentic sound,” Walpole continues. The results of this initial recording were more than satisfactory, but there was still a lot of work to be done to elevate the sound of the machine to a level that would meet Tyldum’s expectations. “When we got back with our sounds we discovered that the authentic machine actually matched up rather well with the replica they built on set in terms of the rhythm, rotar speed and pace. It was a good mimic of the real thing, but what the authentic recording lacked was detail, complexity and intricacy,” Walpole reveals. “When we were there [at Bletchley] we had access to the National Computer Museum next door as well, and they’ve got a whole ton of machines appropriate to the era. We were able to record a lot of these and that gave us a massive pallette of genuine sounds from Turing’s time. “So we constructed an initial version of the Bombe machine primarily using our Bletchley recordings and a little bit of stuff from the Computer Museum, and sent it over to Billy and Morten to lay into the cut and get an original round of feedback. “They felt we needed to bring a sense of scale to the machine and suggested a heart-like element be incorporated into the rhythm, implying a life force, which tied into Morten’s desire for the machine to become a character in its own right. After a number of failed attempts we found our answer in some old clunky elevator server recordings, which had a wonderful natural reverberant acoustic, suggesting the sound was originating from deep within the machine, so this additionally served to provide us with the sense of scale we were looking for. “We also began to pick out and enhance the visual detail of the rotars as they whirr and click on close-up. Some of the recordings of the machines were running at different rhythms but we were able to fit them to work with the visuals, and they could be tailored to fit the metronome of what the machine was doing. Walpole has been involved with several award-winning movies in the past, including Les Misérables, so he’s used to these tricky jobs, but trying to recreate the sound of a hugely complex device for a sound-passionate perfectionist like Tyldum can’t have been easy. “He loves sound and encouraged us to experiment, which was liberating. He knew what he liked and that didn’t change throughout the process,” recalls Walpole. 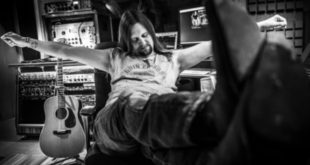 While re-recording mixer Martin Jensen handled the FX in the mix, Hilliker took care of the dialogue and music, and there was plenty of good material for him to get stuck into as well, which he was able to combine with Alexandre Desplat’s music to excellent effect. “We were given some of the most solid dialogue I’ve ever had and from my perspective that was complemented by Alexandre’s score, which was recorded at Abbey Road and has the most beautiful sound to it,” enthuses Hilliker. Due to its strategic importance, Bletchley Park would have been a hive of activity in the 1940s, which gave the sound crew another opportunity to experiment with various sound ideas. “Throughout the exterior-shot Bletchley scenes there are soldiers walking around constantly and bikes coming and going, so the challenge for us was keeping this sense of active offscreen life on the base throughout the often dialogue-driven interior scenes,” states Walpole. “That was another thing for Morten – what is happening when this genius is thinking and how do we tell the story of what’s going on inside his head? One of our key ways of internalising it was drifting the world away and making it very subjective, almost like a reverby, underwater space,” explains Walpole. Going back to Boom Post’s relationship with their colleagues over in the US, did the distance between them geographically create much of a problem? This regular back-and-forth will certainly have helped with the development of the movie’s sound, which could see the Anglo-American partnership justifiably rewarded when the 2015 BAFTA winners are announced on 8 February. 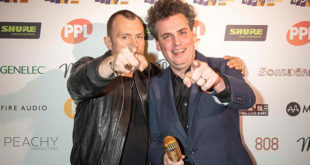 Walpole and Hilliker were understandably delighted when they got the good news in January – it’s also been nominated for an MPSE Golden Reel Award for Best Sound Editing, Dialogue and ADR in an English Language Feature, as well as an AMPS nomination for Excellence in Sound in a Feature Film – but the pair seem more pleased with the standard of what they’ve produced than the fact that they could be adding to their prize collection later this month, as Hilliker concludes.